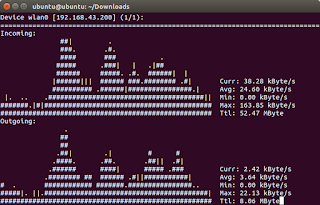 nload is a command line tool to measure network usage in real time. nload is a free software by Roland Riegel. 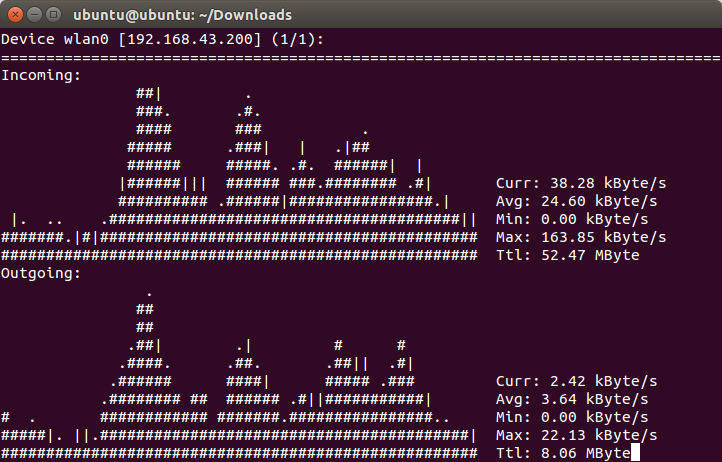 nload is very lightweight but it has good interface similar to bwmonitor in Windows. This article tells some examples of nload for personal user need. To try these commands, make sure you know what network interface you are using by using command ifconfig. For example, I am using WLAN tethering from my smartphone so my interface is wlan0. To close nload when it is running, press Ctrl+C in your console. If you want to change nload settings on-the fly (when it's running), press F2. If you want to change network interface on-the-fly, when you run nload without argument, press down arrow key until you get the interface name.